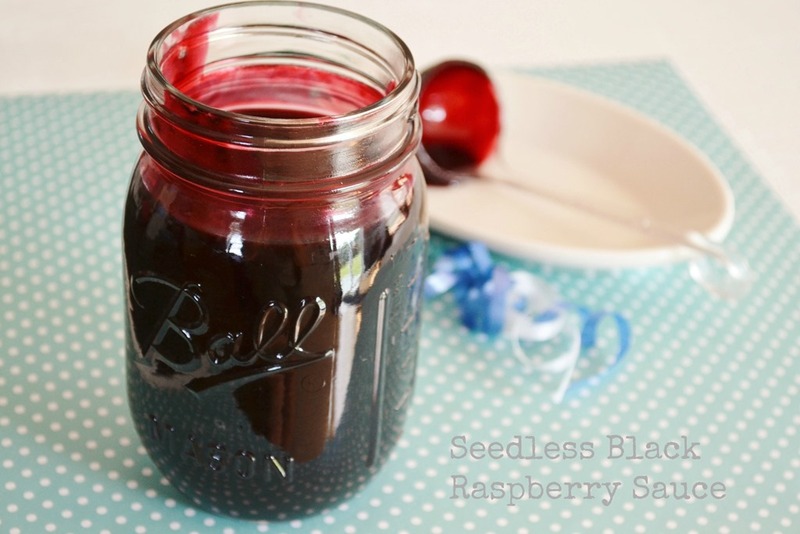 Last week I shared a post for homemade black raspberry jelly. We have berries are out behind our house that are free for the picking – and boy are they plentiful this year. I think all of the rain we had this spring has helped them grow. It’s hard for me to rationalize leaving these berries unpicked because they are loaded with healthy antioxidants and are super delicious. My only problem is that my stomach doesn’t tolerate seeds well so I have to be a little crafty and work around them. I’m not sure why I didn’t get around to making seedless preserves and sauces before now but all I can say is better late than never. Put berries and water in a large saucepan and bring a full boil for 5 minutes over medium heat – stirring often. Mash the berries in the pan as they soften while cooking them. (This will yield about 2 cups of juice). Once the berries have boiled for 5 minutes remove from heat. Strain the juice through a doubled piece of cheese cloth and discard the seeds and pulp. In a clean saucepan, melt the butter. Add juice, sugar, salt, and cornstarch; bring to a boil on slow heat – stirring constantly. Cook until liquid thickens. Remove from the heat and stir in vanilla. Pour into container. Makes 1 pint. Serve warm or cool. Store in the refrigerator (stir thoroughly before serving, or warm for a few seconds in the microwave). 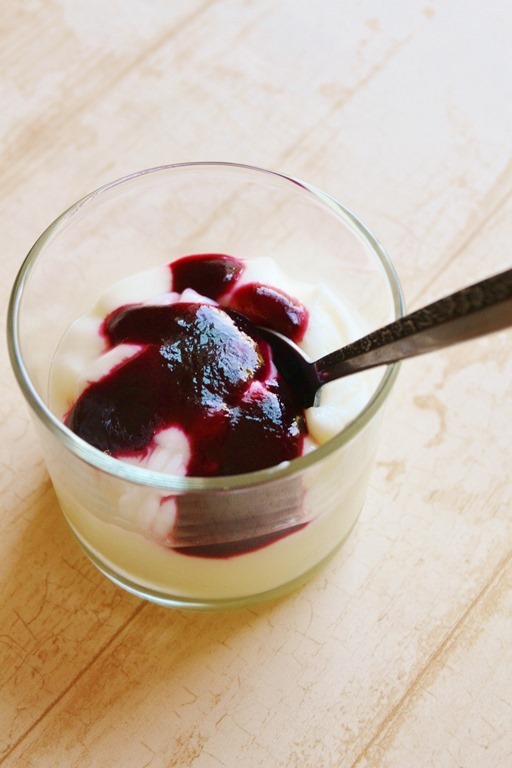 Use this as a topping on ICE CREAM, MILKSHAKES, PANCAKES, or vanilla YOGURT (like pictured). One of these days I’m going to experiment and make a homemade black raspberry vinaigrette salad dressing using this sauce and when I do, I’ll share the recipe. Imagine how happy you’d make a friend, neighbor, or co-worker if you presented them with a small jar of this. Think Christmas… I have froze bags of these berries so I can make fresh batches of sauce and jam throughout the cold winter months when ripe berries are hard to come by. Pick berries and get into the sauce! Do you ever have insatiable sweet tooth won’t stop aching? I seem to have one more times than not – like last week for example. 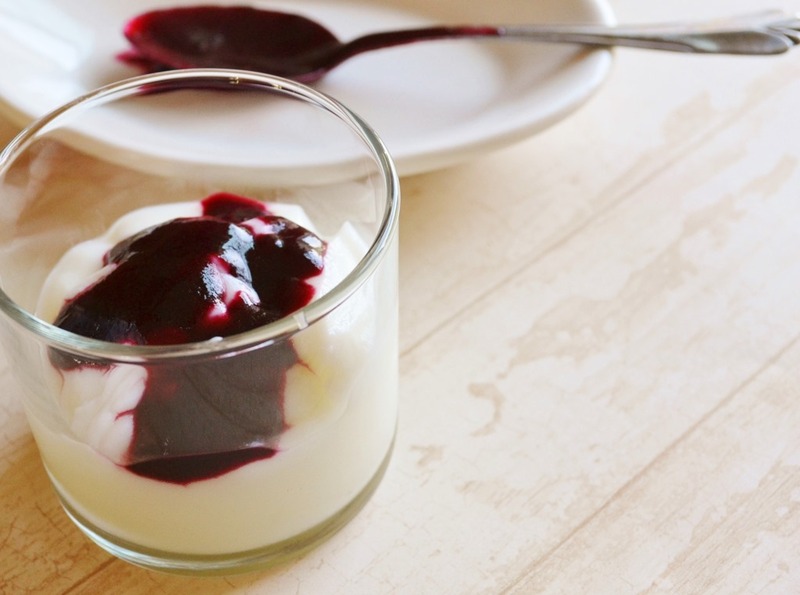 When my sweet tooth is screaming, I usually search for a quick and easy solution. 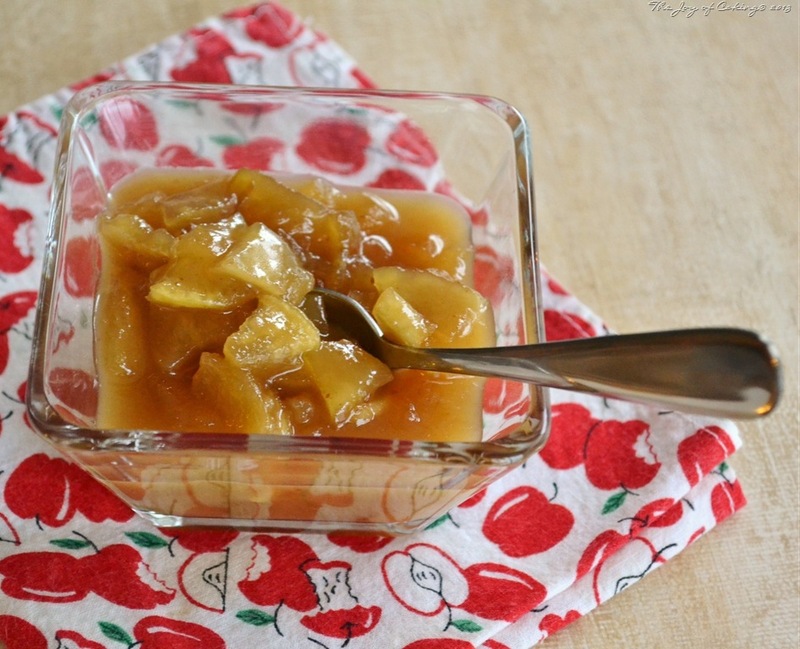 This Country Apple Caramel Sauce is both – quick and easy. It will surely stop any insatiable sweet tooth from aching dead in it’s tracks – I promise! In a large skillet, melt butter on low heat. Add sliced apples and sauté until tender. Stir in brown sugar, milk, and salt; cook on medium heat for about 5 minutes. Turn heat to low. In a separate bowl, add cornstarch and add 1/4 c. of the hot apple mixture; mix thoroughly. Pour cornstarch mixture into apple mixture and cook until apple mixture thickens. Remove from heat and stir in vanilla extract. Serve warm on top of your favorite ice cream or cake. I’m also thinking sauce would taste great churned into a homemade ice cream with a pieces of pie crust thrown in. Homemade Apple Pie Ice Cream here I come! Looking for an apple topping with a little kick in it? 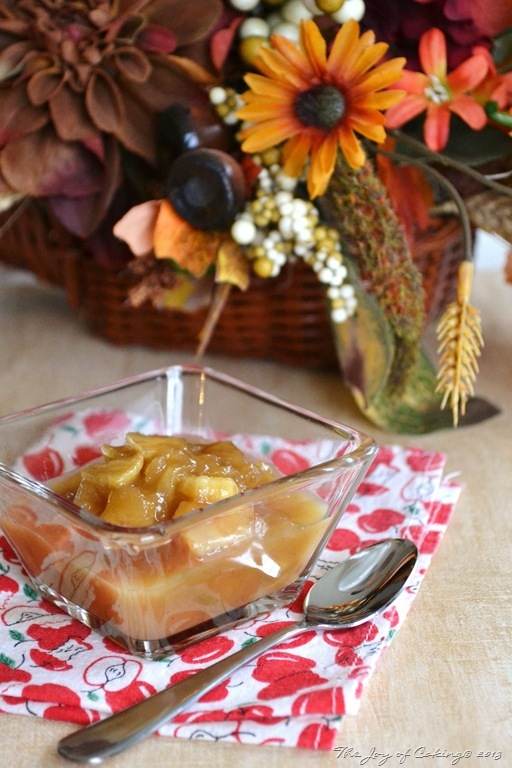 Check out my recipe for Apple Rum Ice Cream Topping.